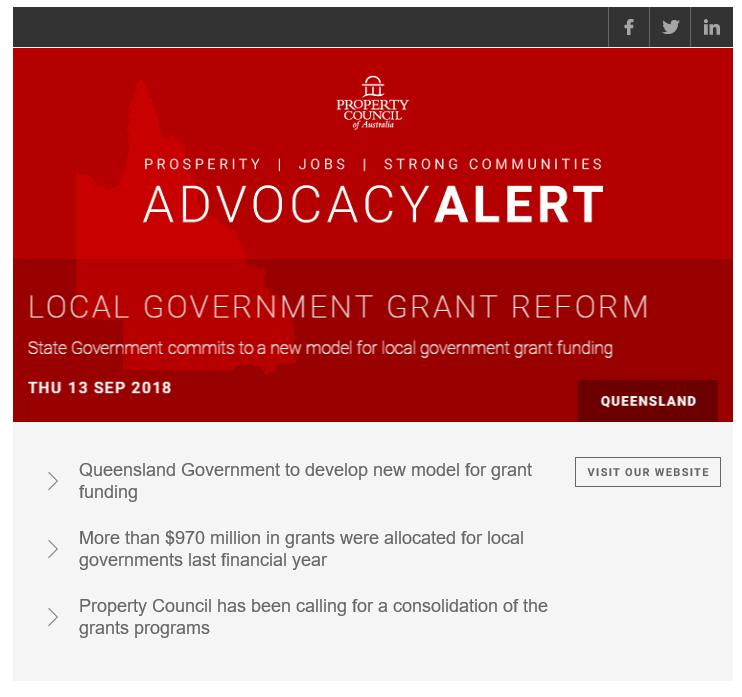 Following the Property Council’s the antiquated approach to local government grant funding, the Queensland Government has committed to develop a new model for local government grant funding. A greater focus will be placed on growing business investment and opportunities. In 2016, the Property Council commissioned Integran to examine the effectiveness of infrastructure grant programs in Queensland. Integran found that many funding grants do not require any benefit to be realised in order for a project to be funded. Other grants provide funding regardless of the approach to financial management as they are assessed on an ‘effort neutral’ basis. In an era of limited funding and budget constraints, governments at all levels need to ensure that funds that are available are allocated to projects that best support economic growth. The Property Council will continue to engage with the Government to ensure that this new framework achieves greater value from the investments made in local infrastructure.